Hopefully we will get many of our the questions answered today. 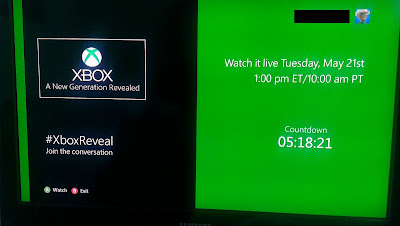 There's a lot of speculation swirling around how much it will cost, what it will look like, the controversy around the system being "always online", and the need for the kinect to be connected at all times. We also don't know what it will be called. People have been calling it Xbox 720, Xbox Infinity, just plain "Xbox" and other names that I just can't seem to remember right now. At any rate, if you are a gamer, I think this might be something you dont want to miss. Click the photo above and it will take you to the live stream of the event.